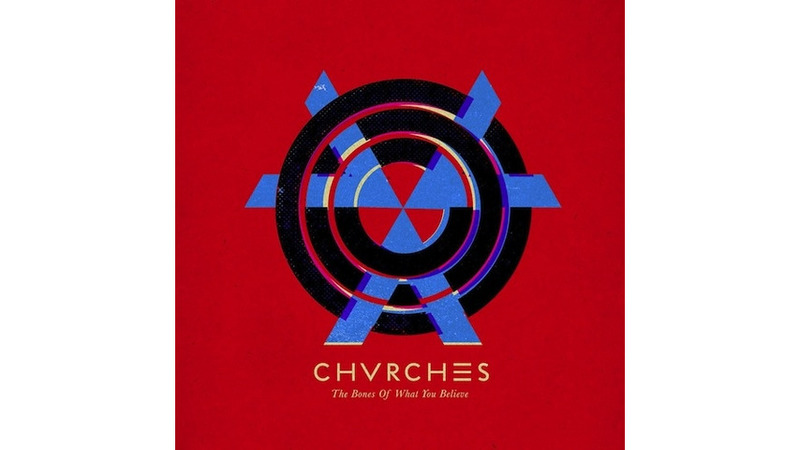 CHVRCHES have made it clear their name is not meant to call anyone to repentance. They aren’t making music to proselytize, and their lyrics aren’t evangelical. Even with an album named The Bones of What You Believe, they are more preoccupied with enlivening the ordinary than indulging in pipe organ sacredness. If they’re worshipping anywhere, it’s under the venerable Cardinal Gore and Archbishop Gahan. The softspoken swirls of chillwave aren’t really here at all, nor are the dancefloor theatrics of Daft Punk or other popular synthy masterminds. They draw inspiration from the great synthpop purveyors of yesteryear. This is music equal parts ethereality and definition. A further transcendence is suggested here, something synthesizer music has definitely had a knack for since the ‘80s in particular. But they’re also unafraid of letting every instrument bang like its percussion is its only meaning. It’s rhythm and blue-eyed wonder. Unlike the current trend of burying vocals into the mix a la Toro y Moi or distorting them Kavinsky-style into machinery, Lauren Mayberry’s voice is front and center here. It’s a more old-fashioned way of doing things for a band with such a current sound, but straightforwardness is no sin in and of itself. Her sprightly presence sometimes drifts into hints of her Scottish brogue but mostly provides a refreshing turn on today’s typical pop star tenor. Hers is a voice made more audible by its quiet humility. To the record’s credit, the songs here are cohesive but never awkwardly uniform. You can guarantee a certain number of elements to be present on every track but each leads to a different concoction than that which came before it. No doubt everything here will have soaring synthesizers, decisive drumbeats and delicately stated vocals. But each song presents this trifecta in new variants, different tempos and plethoric dispositions. “Gun” is sure to win over listeners with its whistling treble notes playing over determinate bass notes. The sinister lyrics are drenched in irony, given the vocal delivery. “You had better run from me / With everything you own / Cause I am gonna come for you / With everything I have,” sings Mayberry. It doesn’t work that well as a threat but, alongside the instrumentation, it can make do as a bleary-eyed battle cry from a victim at the end of her rope. “I will be a gun / And it’s you I’ll come for.” And then there’s “Lies” and its stairway climb to the stratosphere. It’s a rhythmic hike to higher altitudes. For that matter, CHVRCHES’ main talent lies in making a record which makes the climb more worthwhile than the summit. “Lies” stands out as indicative of what the best parts of their sound are capable of. Where M83 is regularly trying to turn Earth into a dreamlike Heaven, CHVRCHES make their business more akin to a final rest stop before reaching Everest’s peak. In other words, they make the listener keep reaching for something more rather than realize the only way back from here is down.